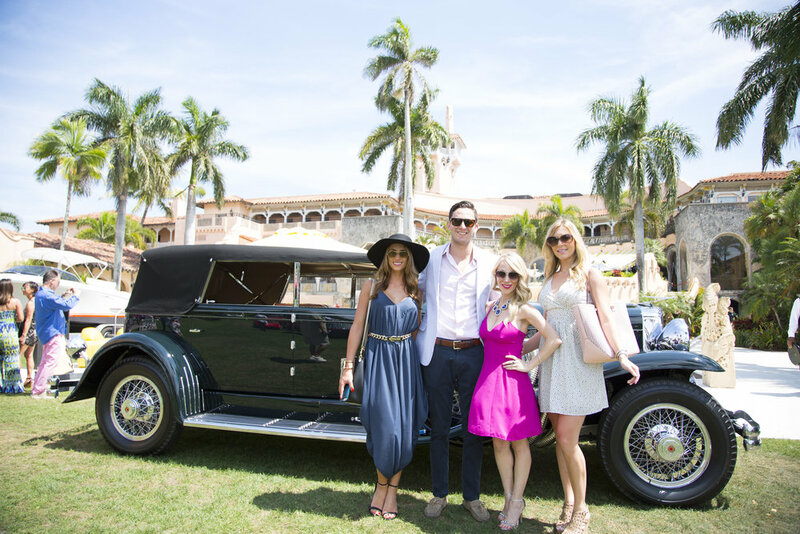 The beautifully manicured lawn of the exclusive Mar-a-Lago Club will be the backdrop for over 100 world-class vintage sporting cars from the 1920s through the 1970s. The exquisite collection will hold your attention while our exceptional culinary will set us apart. Your all inclusive ticket will include unlimited food prepared by 5-star chefs, fine wine, specialty cocktails, champagne, access to our VIP hospitality chalets, collectible poster, memorabilia & art display, swag bag, access to our celebrities and much more. The Palm Event is proud to offer complementary corral parking for car clubs in the lawn at Mar-a-Lago. Please inquire during registration. Event schedule and ticket prices subject to change. The Palm Event Historic Display Retrospective will include street sportscars and cars with a motorsports heritage, one-of-a-kind, concept cars, celebrity-owned and cars with a racing history. Many awards will be presented including; People's Choice, Most Elegant, Kennedy Era Award, Most Significant Racing History, Best Porsche, Most Beautiful Ferrari, Best Sounding Sportscar, Lady's Choice, English Sophistication and Best Pre-War Classic, to name a few.